Does the bailiff have the right to impose the attachment of bank accounts? 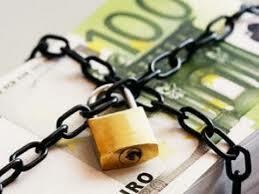 ArticlesDoes the bailiff have the right to impose the attachment of bank accounts? Does the bailiff have the right to impose the attachment of bank accounts on which salary, pension, maternity, child allowance, unemployment benefits, sickness benefits, etc. are obtained? The Credit Institutions Act defines the concept of bank secrecy: "Bank secrecy is the facts and circumstances affecting the bank account's cash and deposits operations and deposits", and para. 6 lists persons entitled to request disclosure of bank secrecy, among which NA is not the bailiff. Consequently, the bailiff can not verify either the availability or the origin of the amounts received and received in the bank accounts. Therefore, in order to apply the provisions of the Civil Procedure Code to the proceeds of remuneration and pension and to deduct only the severable portion of the claim, the debtor should submit a bank statement from his account for six months from the date of filing. Otherwise, the bailiff considers that the amounts received from the debtor's bank account are a securitible claim of the debtor to the bank. As regards benefits, the Social Security Code provides as follows: The cash benefits and benefits paid under this Code can not be imposed under the Civil Procedure Code and the Tax-Insurance Procedure Code or other deductions except for liabilities to state social security and maintenance obligations ". However, bearing in mind the above, in connection with the Credit Institutions Act, it is up to you to prove, by means of a statement for the last six months, the origin of the amounts credited to your bank accounts. In any case, however, the fact that you receive non-insurable income DOES NOT relieve you of your obligation and does not deprive the bailiff of his or her right to choose another means of enforcing the amounts. According to the CCP, "The Executor may direct the execution on any item or claim of the debtor", and according to Art. Article 19 of the Private Enforcement Agents Act "the private enforcement agent proceeds on execution at the request of the interested party on the basis of a writ of execution or other act to be enforced" and "the private enforcement agent can not refuse execution." Also note the provisions of Art. 18 PEAAs under which "the private enforcement agent may, in connection with the enforcement proceedings, examine the assets of the debtor, inquire, obtain documents, papers, etc., determine the manner of enforcement and be a guardian of the law. described property ". It is important to know that there is no limit in Bulgarian law as to how effective enforcement agents are entitled to enforce. For example, the fact that you have a distri- bution of your salary does not mean that the bailiff is under an obligation to raise your bank accounts. Does the bailiff have the right to impose the attachment of bank accounts? Does the bailiff have the right to impose the attachment of bank accounts?